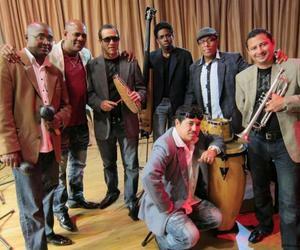 The renowned Cuban musical group Septeto Santiaguero is scheduled to perform at the Lehman Center for Performing Arts in the Bronx, New York together with Jose Alberto “El Canario” and other important international musicians. During the concert, the musical group will interpret pieces like “No Quiero Llanto”: Tribute to los Compadres, CD that got the troupe a Grammy Latino in the category of Best Traditional Tropical Album in 2015, reported Suenacubano website. Those that will attend the concert will enjoy genuine traditional Cuban music led by the head of the group Fernando Dewar that will play different genres like son, guaracha, bolero, trova and changui. Accompanying the Septeto Santiaguero will be Dominican Jose Alberto “El Canario”, sharing the production of the CD, Sonny Bravo, Johnny Rodriguez, Camilo “Azuquita”, among other artists, reports the official website of Lehman Center. The Cuban musical group will also play songs of its most recent CD Raiz, stamped by the Recording and Musical Edition Company, EGREM. Considered among the main exponents of the Cuban traditional music, the Septeto Santiaguero has traveled to other countries with great success. Since its creation in 1995, the group has recorded a number of CD’s and obtained awards and recognitions.